ONE of Melbourne's finest blues outfits will perform at MAYFIELD HOTEL this weekend, providing a taste of what is to come when the venue hosts the 3RD ANNUAL BLUESFEST next month. Formed in Victoria but based in Melbourne, TREVORS HOUSE surfaced by chance after a jam session four years ago. Trevors House comprises guitarist DANIEL FIRTH , bassist GREIG WITHERS , drummer LIAM CUFFLEY and frontman DALLAS FRASCA , whose raw vocal style provides the band's signature sound. Described as an organic groove blues band with a roots spice, Frasca said the band draws its i luence from the original blues masters. ``Our hearts lie around early Afro-American blues,'' Frasca said. ``You can definitely hear those i luences coming out in our music.
'' 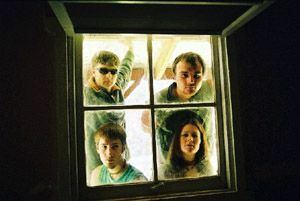 The band release its debut self-titled album in November 2002 which proved a hit with fans after it sold out the first two runs in a matter of weeks during the band's tour of the East Coast in January 2003. Frasca said the band hopes to release a new album this year. As well as completing its own headline tours, Trevors House has played at numerous festivals such as the AUSTRALIAN BLUES FESTIVAL, BUFFALO BLUES AND ROOTS FESTIVAL and the FESTIVAL OF FOLK RHYTHM AND L E .
Trevors House will perform at Mayfield Hotel on Friday night before heading to the TAMWORTH COUNTRY MUSIC FESTIVAL .